Little Richard -- Ricky Nelson - Bobby Darin - Bill Haley - Duane Eddy - and many, many more!! The perfect night out!! 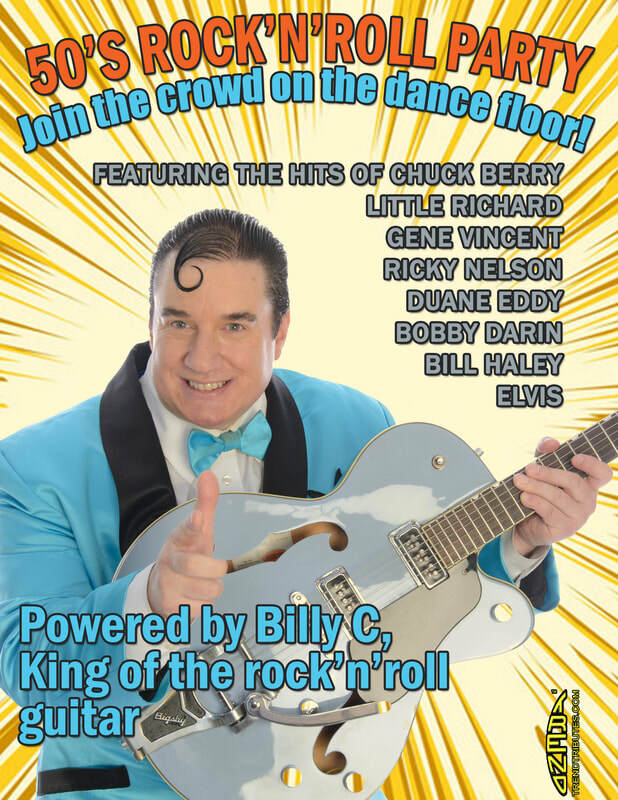 Come join us for a delicious 4 course dinner and then dance the night away with all the hits of the 50's performed by Billy C. Billy will sing all the biuggets hits and he is also a master on the guitar! This show will feature the hits of all the biggest stars of the era and he will have you on your feet and singing along with all the songs you know and love! Chuck Berry, Little Richard, Duane Eddy, Gene Vincent adn many, many more! This is an event you won't want to miss so don't delay and get your tickets today! !